Few losses are as painful as the death of someone you love. No valley is as vast as grief, no journey as personal and life-changing. Compassionate and wise guides, Raymond Mitsch and Lynn Brookside, shine a light on the road through grief. They can help you endure the anguish; understand the stages of grief; sort through the emotions of anger, guilt, fear and depression; and face the God who allowed you to lose the one you love. 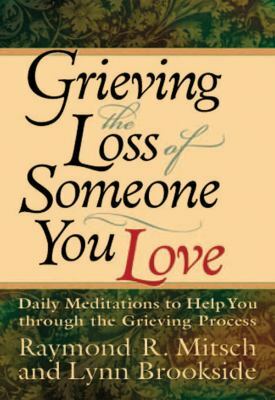 This series of thoughtful daily devotions shares wisdom, insight and comfort that will help hurting people through and beyond their grief.Mitsch, Raymond is the author of 'Grieving the Loss of Someone You Love Daily Meditations to Help You Through the Grieving Process', published 1993 under ISBN 9780830734368 and ISBN 0830734368.